Rosen, Michael. Shakespeare's Romeo and Juliet. Illus. Jane Ray. 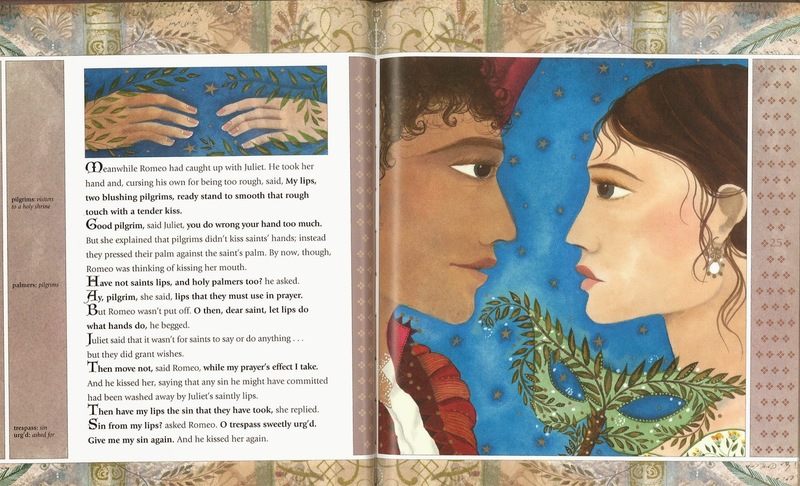 Cambridge: Candlewick Press, 2004. 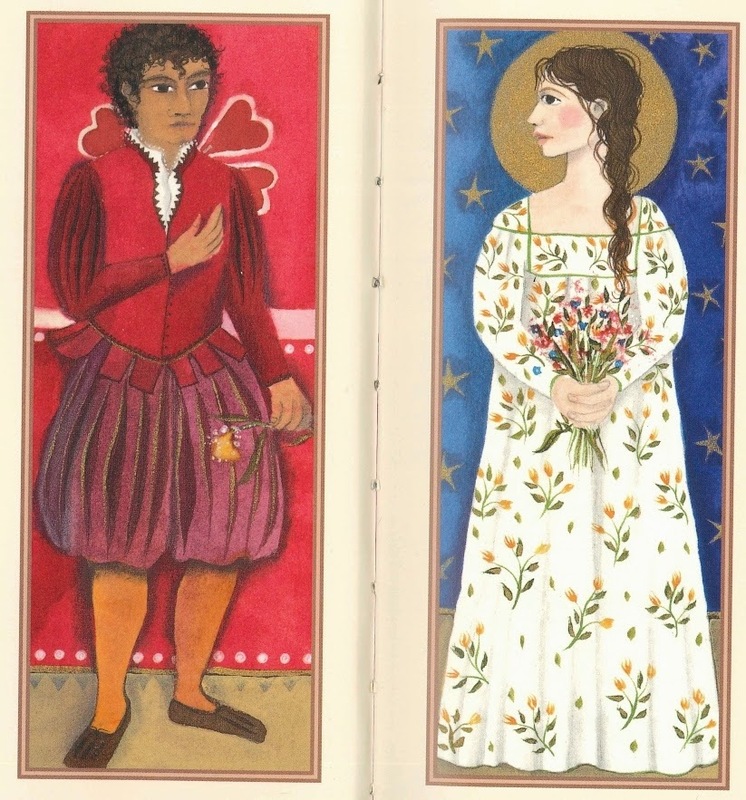 I don't often run across a picture book version of a Shakespeare play that I think would be worthwhile to review, but Michael Rosen and Jane Ray's version of Romeo and Juliet is an exception for one essential reason. It's not the illustrations. They are very creditable, and they have a unique style, but they don't particularly stand out. I do appreciate that they're not sentimentalized—the characters in the story have a realistic, warts-and-all feel to them. It's not the summary of the story. It takes some effort to do that well—especially for a younger age group—but that's something of which many are capable. I find that to be a very satisfactory marriage of text, summary, footnote, and illustration. 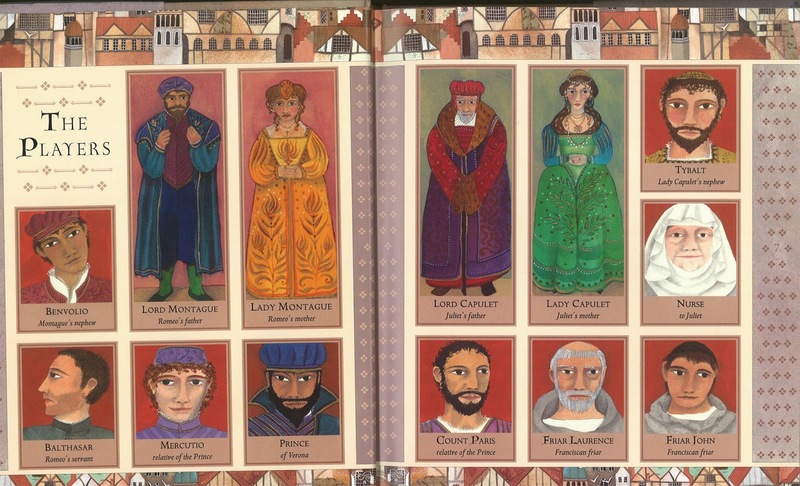 I also appreciated this chart of the other characters—just to help us keep them all straight!